This delightful pair of porcelain coasters from East of India are the perfect wedding or anniversary gift. 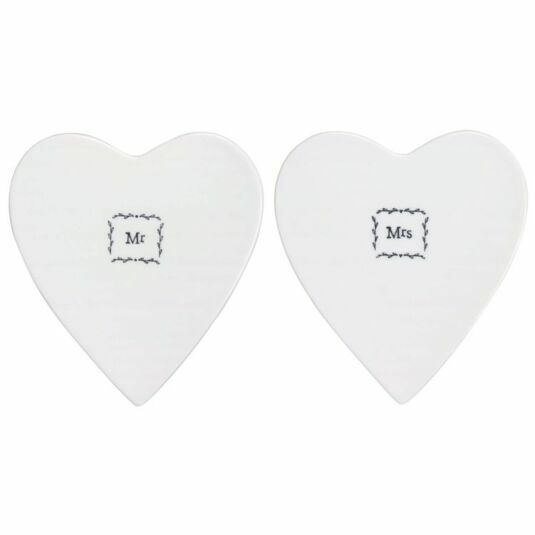 Made of creamy white glazed porcelain, the coasters are heart shaped and feature a debossed imprint of the words: Mr and Mrs surrounded with a simple vine pattern. 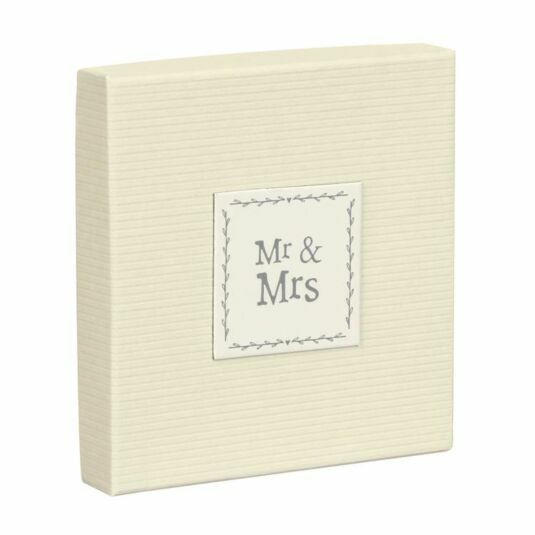 This coasters are finished with a padded bottom to protect any delicate surfaces they may be placed upon; presented in a cream card box, they make a lovely housewarming, wedding or anniversary.